The so-called Master Cleanse or “Lemonade Diet” is one of the most popular lemon-based cleanses around, and with good reason. It’s great for the entire system, cleans the kidneys, and purifies the glands and cells throughout the body. And it works to alleviate high blood pressure, replenish and maintain vitamin, mineral and complex nutrient levels, and neutralizes toxins and free radicals. It also helps loosen and expel old waste build-up on intestinal walls, as well as hardened material in the joints and muscles and toxins and congestion throughout the body. People on this diet/cleanse report lowered high blood pressure and cleansed arteries—some have even been able to cancel heart surgery. As a reducing diet, the Master Cleanse is superior to other systems because it dissolves and eliminates all types of fatty tissue. Fat melts away at the rate of about two pounds a day for most individuals—and without any harmful side effects (be careful, though, if you have multiple health issues, vitamin/mineral deficiencies, or don’t have excess weight to lose). And mucus related diseases, such as colds, flu, asthma, hay fever, sinus and bronchial troubles, are often relieved and eliminated from the body. Allergies exist as a result of an accumulation of mucus/toxins, so they are addressed, as well as conditions that result from calcium deposits in the joints, muscles, cells and glands. Cholesterol deposits in the arteries and veins also respond to the cleansing power of this recipe. The Master Cleanse also works to restore elasticity, regardless of your years, re-build and detoxify the bloodstream, and facilitate better electrolyte absorption through the large and small intestines. It helps re-establish normal pH and friendly flora population in the intestinal environment, too. Wow! That’s pretty impressive for something that’s easy to implement, inexpensive (it’s likely you’ll save on what you’d normally spend on food—plus, you’ll also save on the time you usually spend grocery shopping and cooking), and that you can do on your own. No wonder it’s called The Master Cleanse! This particular cleanse is one of the easiest ways to regain vitality, give your digestive organs a much needed rest, and allow the body to repair and clean out. Cleansing is basic for the elimination of any kind of disease that stems from the build-up of toxins, and this protocol helps achieve effective cleansing of your bowel, kidneys, liver and entire body. It helps treat a wide variety of ailments, from joint and muscle pain to headaches, ulcers, skin conditions, and more. This routine also enhances the senses, clears the mind, and relieves pressure and irritation in the nerves, arteries, and blood vessels. And if alcohol and/or smoking are problems for you, this liquid fast may help curb those cravings. Plus, while you’re doing the cleanse, all the energy the body normally expends to digest food (±35%) is freed up to work on releasing toxins and rejuvenating the body! So that alone is bound to have a positive effect on your current state of health. *If you’re overweight you may use less maple syrup (½ to 1 TBS); if you are under-weight you can use more (2 to 4 TBS). Depending on how long you stay on the cleanse, you’ll be going through a lot of this mixture, so you may want to make enough for a whole day at one time and keep part of it refrigerated until needed. Drink 6 to 12 glasses of the lemonade a day, plus plain water, as desired. You can also occasionally drink some mint tea. During the time you’re on the cleanse, don’t use any vitamins or supplements—part of the idea is to relieve the body of having to metabolize anything solid. The lemon juice mixture contains glucose, vitamins, minerals and nutrient complexes, and ample fuel for metabolic activities. Normally you won’t feel hungry on this cleanse, although you may miss the sensation of chewing and the variety your normal diet offers. Generally your bowels will need some help, since you won’t have the benefit of the bulk and fiber of your normal diet to move things along and stimulate elimination, and you want to be sure you have several bowel movements a day to get rid of all the toxins and waste being released by the cleanse. So you may want/need to use a laxative tea like Smooth Move™ in the morning and/or evening, or something like GHC’s very popular Oxy-powder™ colon cleanser. Or you may find that drinking a cup of *crystal brine solution (see details and recipe below) does the trick. Some health care practitioners also recommend that you start each day with a salt water flush made with 1 qt. of lukewarm water and 2 level tsp. uniodized salt (a crystalline salt is best); drink on an empty stomach to cleanse the entire digestive system and stimulate bowel movement. It should take about an hour for the liquid to go through your system. (If this ratio of water to salt doesn’t have the desired effect, you can try using more water or more/less salt, or lying on your right side for 30 minutes after drinking the saltwater to insure that it goes directly into the intestinal tract.) And be sure to use a probiotic or eat fermented foods once you finish the cleanse to repopulate the intestines with friendly flora. Your tongue is likely to become coated or “fuzzy” during much of the cleanse and your breath may be an issue (tongue scraping may help with these issues), but this is a sign that your body is detoxing. Some days you may feel worse than usual, or experience brain fog and/or very low energy. So try to do the cleanse during a period of time when you will be able to honor the body’s natural rhythm, and get extra rest when needed. Other days you are likely to feel light, mentally clear, and notice that your joints are less achy or stiff than usual. And you may be surprised at times by the amount of energy you have because the body doesn’t have to expend energy digesting all the food you normally eat. After you end the cleanse, start to introduce food back into your system by slowly drinking several glasses of fresh orange or grapefruit juice for the first day or two. By dinner time on the second day you could have vegetable soup or something similar. On the third day, have juice in the morning, raw fruit at lunch, and a raw veggie salad in the evening. By the fourth day you can return to your normal diet, but try to integrate various foods slowly and don’t go overboard and undo all the good you just did for your body. Some sources recommend that you follow this cleanse for a minimum of 10 days (and repeat it 3 to 4 times a year), but if you are underweight, have vitamin/mineral deficiencies, or are in a fragile state of health, that will likely be hard for your body to handle. You might want to try it for 3 or 4 days and see how things go. As with anything, follow your inner guidance and the advice of your health care professional. I myself had planned on doing the cleanse for 10 days, but stopped after 7 because my body went through a violent reaction on the 6th night; after that I couldn’t stomach the lemonade mixture, although I was hungry at the time and normally liked the taste of the drink a lot, so I figured my body was trying to tell me something. When I started the cleanse I was already underweight, anemic, mineral and protein-deficient, and dealing with a variety of other health issues, so I think I just didn’t have enough reserves to carry it any further. But I felt so good on certain days while doing the cleanse that I almost hated to call it quits. My body wasn’t as stiff as usual, my joints weren’t so achy, and I felt so light and mentally clear. The Lemonade Detox diet first became effective, strangely, when its creator, Stanley Burroughs, recommended it for the healing of stomach ulcers. In his book “The Master Cleanser”, he goes on to share how he first came to test the Master Cleanse diet on a patient who was suffering from ulcers for three years. Left with no other recourse, the patient approached Stanley who recommended that he undertake the cleanse. After eleven days, the patient was totally healed to the amazement of the doctors. Many other cases followed with the same consistent and astounding results corrected within ten days. Of particular note was that those undergoing the Master Cleanse also experienced a reduction in weight. If there have been doubts as to the veracity of Stanley Burrough’s claim of the Lemon Detox diet’s effectivity, there have been testimonies over the years of its efficacy. Of recent vintage is Tom Woloshyn’s work, “The Master Cleanse Experience”, published by Ulysses Press in 2009. This book briefly mentions Woloshyn’s experience in advising clients who has undergone the Master Cleanse program and provides, among other insights, health benefits which include better sleep, positive outlook, clarity of mind and freedom from addictions. He, thus, advocates keeping a journal to monitor developments as well as a reference for future use when undergoing the program for the second or many more times over. The Master Cleanse operates on the principle that, for disease to be addressed, cleansing must be undertaken. Simplifying and correcting disorders through this process is actually a way of correcting every disease. Developments in nutrition and science have clearly identified improper diet , negative mental attitudes and inadequate exercise as the factors that create the conditions to produce toxin build up over time. That is why the Master Cleanse is not an end to itself. It is actually just the tip of a long chain of healthy decisions of those who wish to undertake it. Observing a healthy diet, regular exercise as well as stress reduction is essential in maintaining the gains that the Master Cleanse Detox diet can offer. According to Woloshyn, some people prepare themselves before undergoing the detox by going on a vegetarian diet. It’s less stressful on the body and makes the transition to the Master Cleanse easier. For those who regularly take coffee or soda drinks, a gradual reduction in intake is recommended, as well as taking pantothenic acid (vitamin B-5) to help prevent the onset of headaches brought about by caffeine withdrawal. People who have undergone organ transplants, as well as those on immune suppressant drugs, cannot take the fast. Woloshyn warns that the cleanse stimulates the immune system, while effectively inhibiting the results of the drugs; this combination will most likely lead to the organ transplant being rejected by the body. Always enjoy the Master Cleanse lemonade drink fresh and do not subject it to microwave as doing so will minimize its effectiveness. The purpose of the program is to give the digestive tract a ten day vacation, so adding things to be digested does not contribute to the objective of the diet. Stanley Burroughs, in fact, discourages the intake of supplements and vitamins during the program because it interferes with the body’s elimination system. Furthermore, the natural sources of vitamins and minerals already found in lemon and the maple syrup provide for the body’s needs during the detox program. It is best to remember that variations on the process, and especially in the recipe, will not produce the results that originally worked for the many that faithfully followed the original Master Cleanse program and lemonade recipe. Tom Woloshyn fondly recalled Stanley Burrough’s remarks. 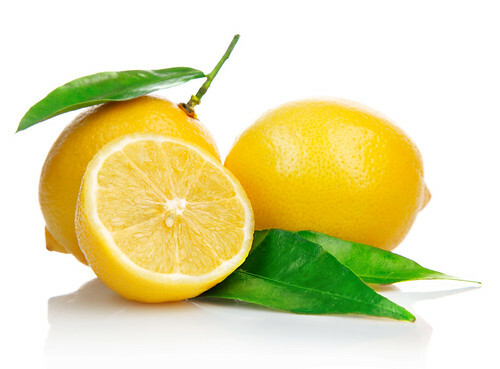 He was said to have repeated many times over a phrase most technical people use when instructing frustrated customers, “When all else fails, follow the instructions.” In order to ensure success and experience the benefits of the Master Cleanse Detox diet, it is essential to understand how to do the program properly. Faithfully following what has been prescribed is the first step in this direction. A salt-related routine that is an amazingly simple way to promote health and detox the body is to make a brine using pure, crystalline Himalayan salt and water (use the highest quality, low in minerals, spring, artesian or structured water available). To make the mixture, all you do is cover the bottom of a small glass jar or pitcher with some washed big salt crystals, then add enough water so that you have three times the amount of water as salt, or to where the water begins to no longer completely dissolve/incorporate the salt. The brine can be used after 2 hrs., but it’s best to allow 24 hrs. for it to reach a full saturation point of 26% in solution. Supposedly drinking 8 ozs. of pure water with 1 tsp. of this brine added to it will help balance a person’s entire meridian system within 15 minutes! This mixture can be a powerful detoxifier and more is not necessarily better. Those who are taking any prescriptions or over the counter medications, or who have any condition that may be salt sensitive, should consult their healthcare professional before using it in their daily health routine. Start slowly and find the proper amount for your body. Start by using 1 drop in an 8 oz. glass of water per day on an empty stomach (taking this mixture first thing in the morning is usually the easiest way to incorporate it into your normal routine). Work your way up to 1 tsp. of brine a day, and always drink at least 2 qts. of pure water daily while using the brine. If you experience discomfort, stop taking the mixture. Also, the brine is not recommended for children under the age of 18, or for pregnant or nursing women. And here’s a variation on the Master Cleanse recipe and protocol by Dr. Josh Axe. I haven’t used this yet myself, but you may want to give it a try…..
Dr. Axe says if you want to cleanse, lose body fat, boost energy and reverse disease, then adding natural detox drinks like this to your diet can help you improve your quality of life fast. Apple Cider Vinegar is full of enzymes and good bacteria. It contains acetic acid which has been shown to lower blood pressure up to 6%; it can also help eat up the starches if you do eat grains in your diet. Dr. Axe recommend consuming this drink 3x daily 20 minutes before meals for 2 weeks, then consuming it 1x daily before breakfast or lunch. Essential Oils Summit May 11th-18th! Be There!! I really don’t know. I think the ingredients are what they are for particular reasons, i. e. the maple syrup is not just to serve as a sweetener, but used for other reasons as well. I would try googling the question and see what you come up with. The only substitution for maple syrup that I’ve heard of is using molasses for the the first couple of days in certain situations. Leave and comment and let me know if you find out anything. I’m sure you’re not the only person out there that would be interested in the answer to your question. Reblogged this on tvsoccerdad's Blog.